Many people who get divorced would prefer to put the entire episode behind them and start anew. 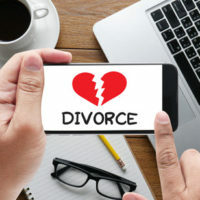 A divorce does indeed represent a new beginning, but there are certain aspects of your life where you may always be reminded of the divorce. One of those aspects is your finances. There is an expectation that major assets such as your home, your vehicle, joint bank accounts, etc. will need to be negotiated and divided during a divorce. However, an asset some people overlook is their retirement plan. In fact, not very many people realize that their retirement account is typically one of the largest, if not the largest, liquid asset subject to community property division in a divorce. The process of dividing a retirement asset such as a 401(k) or pension can become quite complex very quickly. This is because the process oftentimes depends on the specific retirement plan itself. If you or your spouse have an IRA, there needs to be particular caution taken in moving those funds from one account to another. This is because there are penalties associated with distributing IRA funds before you turn age 59 and a half. Generally, an early withdrawal from an IRA prior to this age means you are subjected to a 10 percent tax penalty, according to the IRS. A strategy for transferring IRA funds to a different account and avoiding this tax penalty is by treating it as a transfer incident to your divorce rather than a full-fledged distribution. Federal law requires that this type of transfer be completed within one year after your divorce is finalized. If you wait longer than one year, you are exposing yourself to the risk that the IRS will treat the transfer as a distribution. In addition to the one year window, it is critically important to clearly categorize the IRA fund transfer as being incident to your divorce. If it is not categorized properly, you could incur the aforementioned early withdrawal penalty. It is also important for you to get the approval of the IRA custodian and the judge overseeing your divorce for the instructions on the handling of an IRA fund transfer. Without this approval, the fund transfer will likely be treated as regular taxable income, which you want to avoid so you do not get hit with a massive tax bill. In addition to tax considerations, you need to take the necessary steps to update your listed beneficiary, or beneficiaries in your retirement account. With a 401(k), you have the ability to update your designated beneficiary. If you fail to do so, the assets in the 401(k) will go to your ex-spouse, even if you have a directive in your Last Will and Testament stating that the 401(k) assets go to another beneficiary. As you can see, there can be some serious ramifications if an error occurs in the management of your retirement accounts during a divorce. This is why you should contact the Houston divorce lawyers at Lindamood & Robinson, P.C. in Houston. We possess decades of legal experience and understand the intricacies of dividing assets during a divorce.